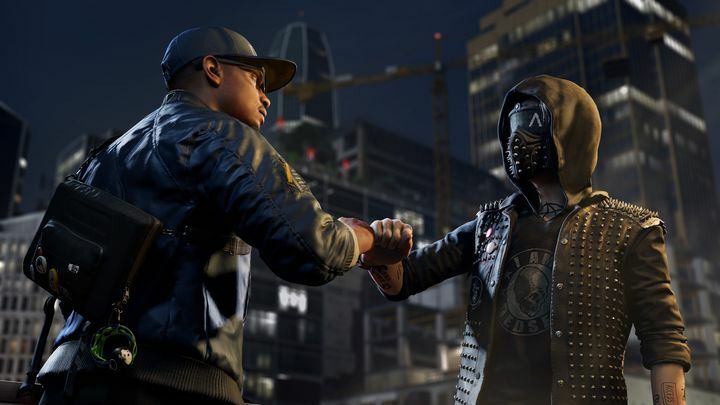 There is no doubt that Ubisoft’s Watch Dogs 2 has many fans of GTA-style games excited, as the original game is one of the best GTA clones released to date and this sequel is looking like it could be a big improvement on the 2014 Watch Dogs game. And clearly Watch Dogs 2 was one of the biggest seen at this year’s E3 show, and Ubisoft already released an action-packed trailer for the game showcasing Watch Dogs 2’s new San Francisco setting, as well as a gameplay video showing the game’s new expanded hacking gameplay and some of the high-tech gadgets that will be available to protagonist Marcus Holloway, who takes over from Aiden Pierce, the frankly uncharismatic anti-hero of the original game. In order to whet player’s appetites before the game’s launch date in November, Ubisoft is now releasing a series of promotional videos which focus on different aspects of the game, the first of which centres on the game’s protagonist Marcus Holloway and the other members of Dedsec that will support him in his adventures. In the game, Dedsec is a hacker organization opposed to the San Francisco elites and the corrupt establishment, and is attempting to expose what they call “fake democracy”. Marcus is a self-taught hacker from Oakland who joins their cause (motivated by his ideas of fairness and equality, as is mentioned in the video…), looking to “find a group of like-minded people with the same skill sets… to fight against the system”, as actor Ruffin Prentiss, who plays the game’s protagonist, says in Ubisoft’s video. There will be other supporting players in the game too, like Marcus’ best pal Wrench, who is “the resident engineer” and also someone who’s fond of demolition and getting in trouble… There’s also the rebellious but purposeful Sitara (who is also a graffiti-lover according to the video), and super-hacker Josh, who can crack open any network’s security. Watch Dogs 2 does appear to have a cast of colourful and interesting characters then, and is certainly one of the most eagerly awaited games of the year. Although it remains to be seen whether the game’s story and missions will be as much fun as those in other GTA clones and Rockstar’s own GTA V, which is still the open world, crime video game to beat, although here’s hoping Ubisoft will deliver a great sequel to Watch Dogs come the game’s release date this fall. Next: Will No Man’s Sky be a disappointment? Will No Man’s Sky be a disappointment?